The heat that comes up in the mature woman reaching her power-phase can feel like a primal scream trying to gain our attention...for that is what it is. It reminds us of a time before child rearing, before strict gender roles, before many of the constructs we have turned into the hardest expectations, rules and limitations of our man-made culture....Exploring the portal that can present as pain and which is really our biggest oportunity yet; individually and as a whole. Fibromyalgia & chronic fatigue – are they Epstein Barr? 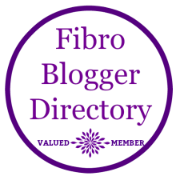 If you have fibromyalgia, chronic fatigue or any other seemingly unshiftable chronic illness going on then - of every post I've ever written - I would say this is the one to read as it feels like a giant dovetail joint coming together to me. Epstein Barr virus is so much more complex than I ever realised before and the gift of learning all about this is seeing how I could have - at last - a root cause for every single aspect of a lifetime's worth of health challenges; maybe you too. Better still, every chance of a recovery when you know what is being faced here.